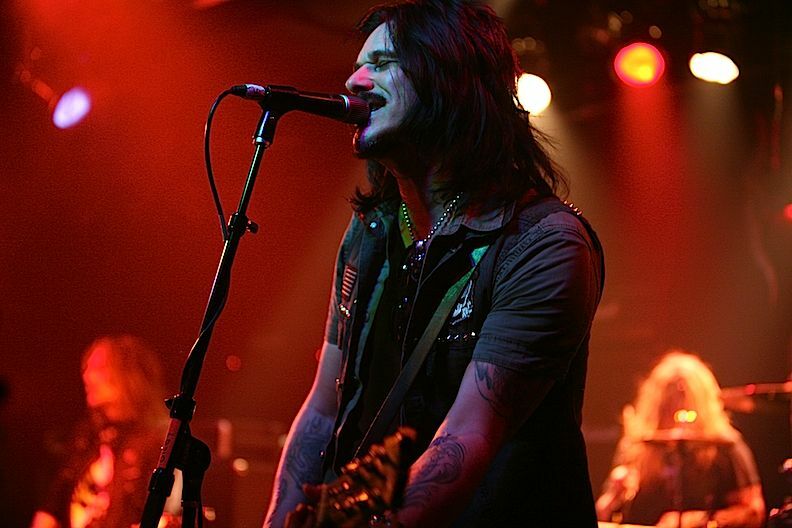 Coming off what could be best described as a schizophrenic performance nearly two weeks ago at Vinyl, characterized by an erratic song list that combined 80s dance pop and metal, the Sin City Sinners show as the opener for Gilby Clarke at Vamp’d was far more representative of their skills and talent as Las Vegas’ premier band. The band, stripped down to vocalist Joshua Alan, guitarist Doc Ellis, bassist Scotty Griffin and drummer Rob Cournoyer, were still loud yet melodic, kicking off the set list with the original song “Living Like a Sinner.” The song is indicative of a harder edged sound that has been promised with the future release of a new album. The band has spoken of this new album for the past seven or eight months, but they still have not delivered it to their extremely loyal fan base, and it remains a mystery as to why. 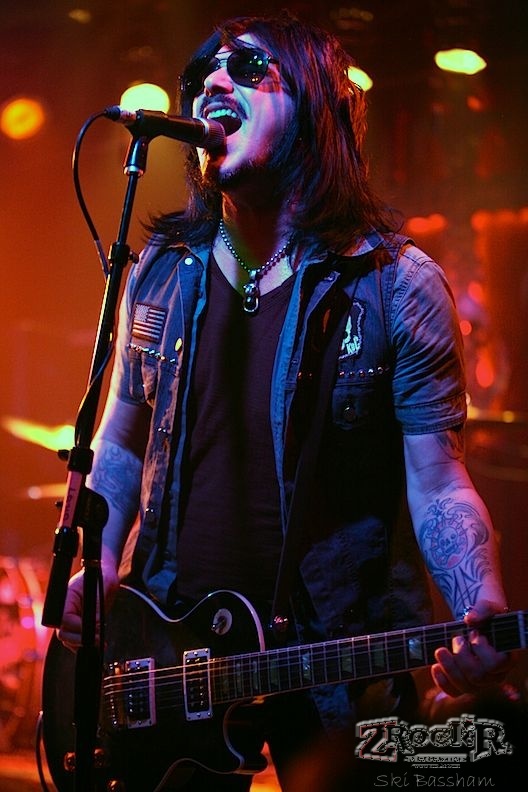 Continuing at a frenetic pace, and churning out “Turn It Up,” it finally dawned on fans there was a missing component to the SCS sound at Vamp’d – band founder and rhythm guitarist Brent Muscat was missing, leaving the band with a single six string presence on stage. There is no doubt that Ellis is Las Vegas’ most technically proficient and soulful guitarist, delivering constantly dazzling performances night after night. However, the band’s overall sound was lacking somewhat without someone to keep the melody going underneath Ellis commanding lead work, and that someone is Muscat. Since the Sinners were officially serving as the opening act for Clarke, their set lasted for just a little over an hour, leaving little time for jokes or the occasionally mean spirited asides. When the Sinners just play and there is little chatter, they truly show Vegas why they are the kings of the Las Vegas music scene. 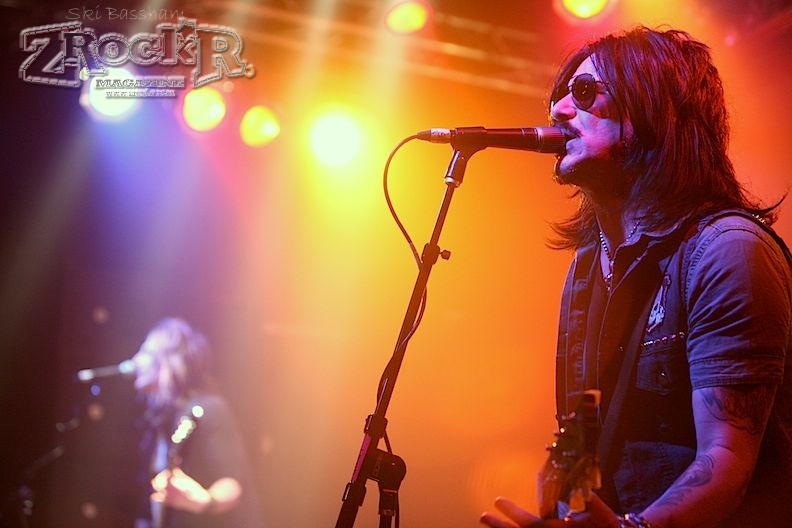 With only a short break, Gilby Clarke hit the stage. When the author thinks of Clarke now, she doesn’t think of his time in Guns N’ Roses or Slash’s Snakepit, but of blue jeans. His wife Daniella, in a way, is the true rock star, becoming ridiculously wealthy due to her becoming a famous designer. However as Clarke’s power trio took the stage, it was hard to deny his stage presence and guitar prowess as his sound could only be described as clean and crisp hard rock. Armed with his trusty black Les Paul, Clarke glided through “Under the Gun” with a lean, yet muscular sound. “Motorcyle Cowboys” kept the aggression going. Cleveland native Clarke isn’t much of a yapper on stage, instead letting his guitar talk for him. 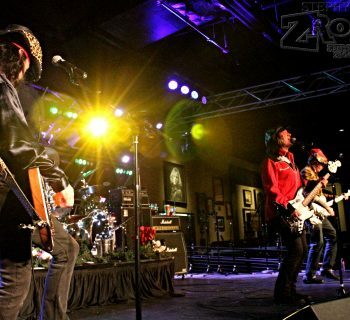 The band soldiered on with an assortment of songs ranging from classic Stones (“It’s Only Rock and Roll,” and “Dead Flowers”) and of course some classic GnR to round out the action (“It’s So Easy” and “Knocking on Heaven’s Door”). Perhaps the reason why he’s not a bigger star is that while he has talent and looks, he has no definable image that would propel him into the stratosphere of rock stardom. He seems a nice guy, but in rock and roll, you need some danger. And Clarke is not dangerous. A former reporter for The Detroit News and higher education executive who moved to Las Vegas five years ago, Lisa loves hard rock, glam rock, heavy metal, dogs and reading. Her favorite books are usually non-fiction, but she enjoys the "Chet and Bernie" mystery series. She's also an avid foodie and somewhat of a local venue expert, so she likes to happily make suggestions to visitors about what to see in Vegas.